Visitor badges are one of the most popular forms of Visitor Management, up there in the Visitor Hall of Fame next to the plain ol' sign-in sheet and the "ALL GUESTS MUST SIGN IN" placard. Organizations of all kinds have been using visitor badges for decades, from classic "Hi! My name is..." badges to today's innovative expiring badges. 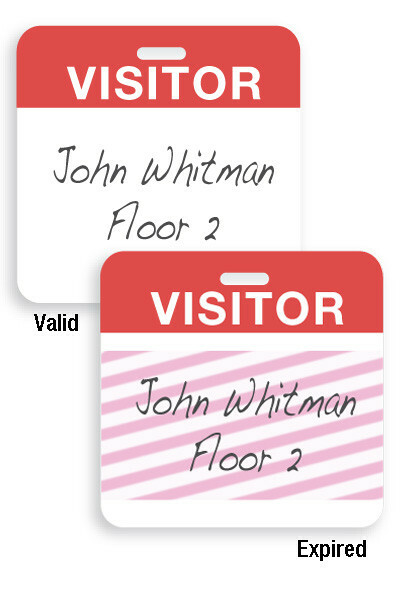 It's not hard to see why visitor badges are so popular: they're easy to use, they're affordable and they get the job done, distinguishing between employees and guests to help increase security. However, what's not immediately clear to organizations looking to purchase visitor badges for the first time is what kind of visitor badges to choose. In fact, many organizations have no idea there are dozens of options out there when it comes to visitor badges. "Options?" they think. "I don't know, just one of those sticky name things, I guess." It's hard to blame people who aren't familiar with visitor badges for being unaware, as not everyone is as obsessed with visitor badges as we are at IDenticard. Unfamiliar with our TEMPbadge® expiring visitor badges? Learn more! But it's important for organizations looking to make a purchase, whether it's for school visitor badges or hospital visitor badges, to be aware of their options in order to make the best choice. We've come up with a list of four questions you can ask yourself in order to zero in on the perfect visitor badge solution for your site, enabling you to secure your site without any headaches. What do you need to ask yourself in order to make the right choice? 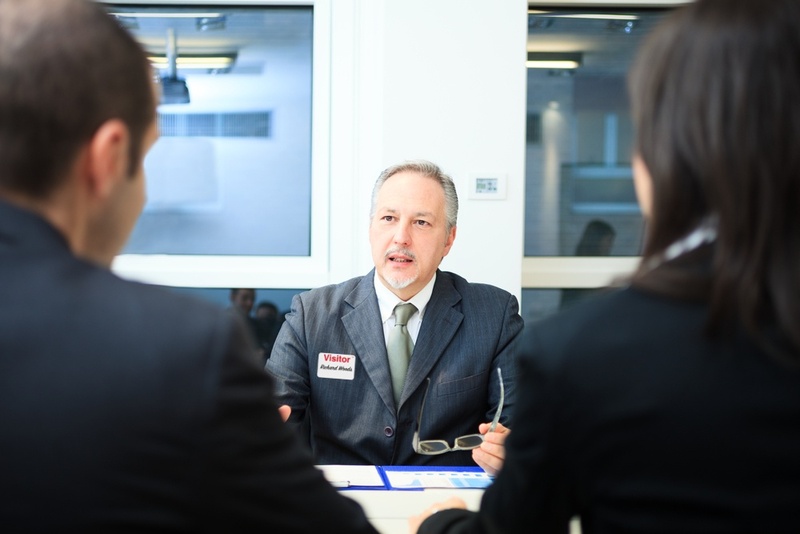 For most organizations, welcoming visitors is an essential part of running a successful operation. 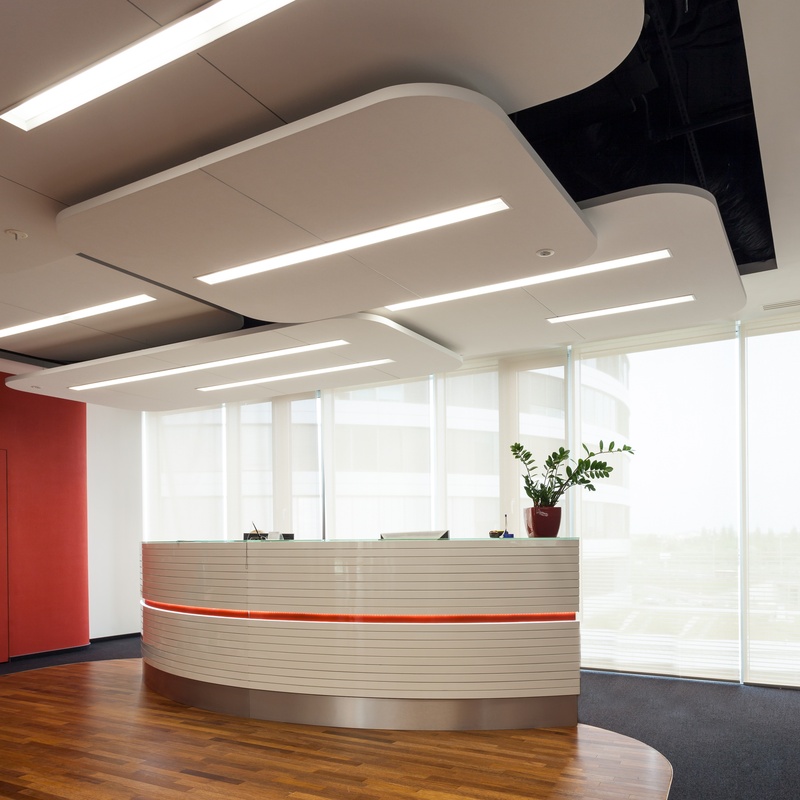 From schools to corporate offices, guests are a key part of a functioning workplace. Guests are going to vary from site to site: they could be substitute teachers, delivery personnel, maintenance workers or associates from a company's satellite location across the country. No matter the guest or type of site, the question is always the same: how should these guests be handled when they arrive? Most sites have some kind of visitor procedure in place, whether it's a full-scale Visitor Management solution or a sign-in sheet left at the front desk. The kind of solution used is going to depend on a number of factors, including staffing levels, guest volume and budget. However, there's one guest identification solution that can go a long way toward boosting site security without breaking the bank: visitor badges. 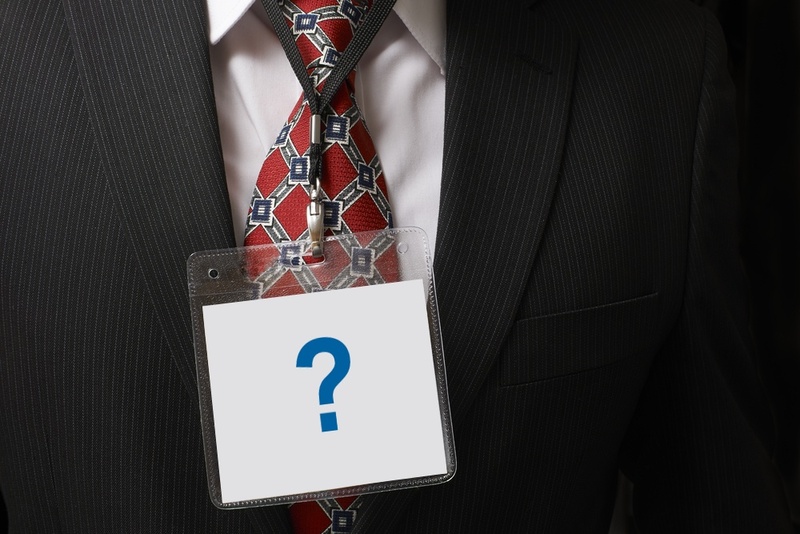 How can visitor badges be used as a security tool? Think about a standard Visitor Management system. What's the main goal any system should strive to achieve? "Well, that's obvious," you think. "It should be able to tell you who is coming and who is going from your premises at all times." Hey, you've been reading our website! However, if you dig a little deeper, there's a larger root cause behind every Visitor Management system. After all, most organizations aren't just a bunch of nosy people who want to know the names of strangers coming by. No, the overarching goal of Visitor Management is to increase workplace safety for all on-site personnel, including both staff and guests. And if you stop and think about it, it makes a lot of sense: Visitor Management systems try to identify threats, prevent unauthorized access and record any incidents, three key components to keeping a work site safe and incident-free. However, today's Visitor Management systems go far beyond simply recording a name when it comes to keeping your workplace safe from violence. Visitor Management is a hot topic in today's security-focused climate. Unfortunately, incidents continue to occur that force organizations to take a look at their Visitor Management and security procedures and wonder, "are we doing enough?" Inspired by recent events, many organizations have started to look at implementing a Visitor Management program for the first time. In talking to our customers, we've found that there's a lot of misinformation out there when it comes to Visitor Management. In the interest of helping to clarify the murky Visitor Management waters, we've compiled the five "myths" we hear the most and provided you with the truth behind each. We spend a lot of time on this blog talking about Visitor Management. In fact, as of the publishing date of this post, Visitor Management was the most-covered topic on the blog. We've covered questions to ask, problems to solve, enhancements made and more, all in an effort to help people better understand this complicated topic. However, it occurred to us recently that there are some Visitor Management basics that we had failed to cover, namely terms and concepts that are second-nature to Visitor Management experts but may as well be a foreign language to newcomers. In the interest of helping current and potential customers be better educated, we've curated a series of terms that we think anyone exploring a Visitor Management system should know. Consider this a Visitor Management dictionary, offering a simple, straightforward explanation of terms, concepts and ideas that you'll encounter as you search for a system. Since hitting the Visitor Management market a few decades ago, our TEMPbadge® expiring visitor badges have been a hit with a variety of customers. These badges have been used for everything from school visitor badges to contractor badges at worksites of all kinds, serving as a versatile, easy-to-use Visitor Management solution. Customers loved our patented expiring ink technology, which is what made TEMPbadge visitor badges different from anything else on the market. That technology worked for years, making TEMPbadge into the recognizable brand that it is today. However, given that it had been decades, we thought we could make it better. That's exactly what we did with our enhanced TEMPbadge products, which launched at the beginning of this month. These new products take what made TEMPbadge expiring visitor badges great and make those features even better, leading to an improved experience for all of our customers. TEMPbadge™ expiring visitor badges are an excellent way to increase security at sites of all kinds. 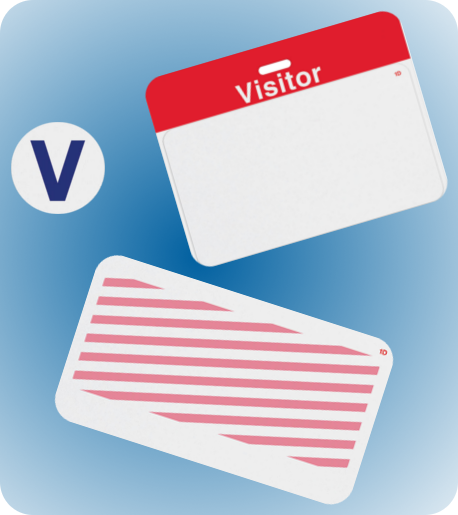 Serving as an entry-level Visitor Management solution, these convenient badges expire after a day's use to indicate that a visitor's time is up. With no software to install or printers to set up, this TEMPbadge 1-day single-piece expiring badge is about as easy as it gets. Write the guest's name on the badge using a pen, pencil or marker. Remove the tab at the bottom of the badge. Lift the top of the badge and remove the adhesive liner. Press the badge parts together and issue with a card clip. It's one thing to read a few bullets on how simple it is to use this expiring visitor badge, but it's another to see it in action. We discuss Visitor Management frequently on this blog, and with good reason: it's a popular topic right now, important across a number of industries (particularly healthcare and education). For many organizations, one of the main hurdles when starting a Visitor Management program is cost. It can be a tough situation: you want to upgrade your visitor program to make your site more secure, but don't have a ton of money to spend on a new enterprise Visitor Management software system. Fortunately, there's a way to keep your visitor program low-cost while simultaneously enhancing security at your site: TEMPBadge Visitor Badge Log Books. 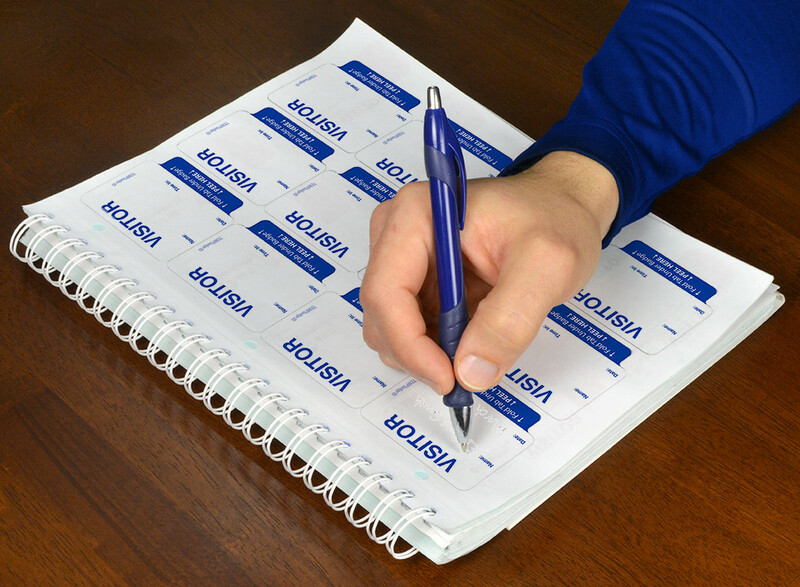 These innovative log books combine the simplicity and ease-of-use of a sign-in sheet with the security of personalized expiring visitor badges. The result is a great way to upgrade your security and visitor sign-in procedures without investing in a large software installation that your site may not find necessary.